I went out yesterday to the Old Mill of Guilford to stock up on grits and bran muffin mix. 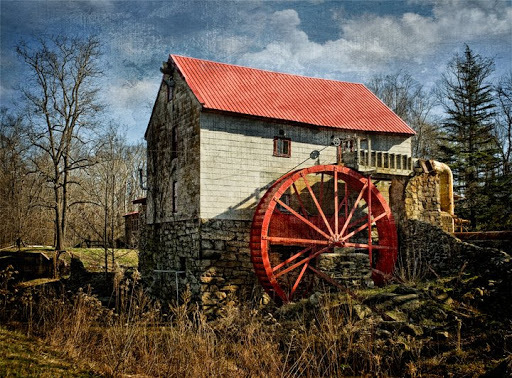 The mill is a local Greensboro landmark and is a fully operational, water-powered, 18th century grist mill founded on Beaver Creek in 1767 to grind grain for the early settlers of northern Guilford County. The mill continues to produce all-natural, stone-ground, whole grain flours and mixes. It’s an interesting place to visit and produces great stuff to eat. 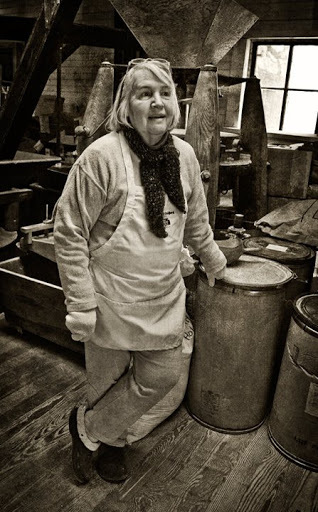 Annie Laura Perdue works the mill. The best shot I have ever seen of the Old Mill. Nice work. I like your editorials too. The nicest photo I have ever seen of the Old Mill. Nice work.I also enjoy the commentary.